So. Recently I was asked to be a celebrity judge in an Ice Cream Cupcake Contest (curated and put together by Scoopalicious and the Cupcake Project). Wait, I just kind of inserted that "celebrity" part myself. I was really just a judge. Gosh, my life is hard. I was in good company, with fellow judges Nicole of Baking Bites and Naomi of Bakers Royale. But joking aside, the judging was quite hard--I had to choose just three from an array of over 60 delectable-sounding and looking ice cream cupcake creations! And they all sounded good, from the deep fried salted caramel specimen to the banana split cupcake to the cake kebabs. NOM! 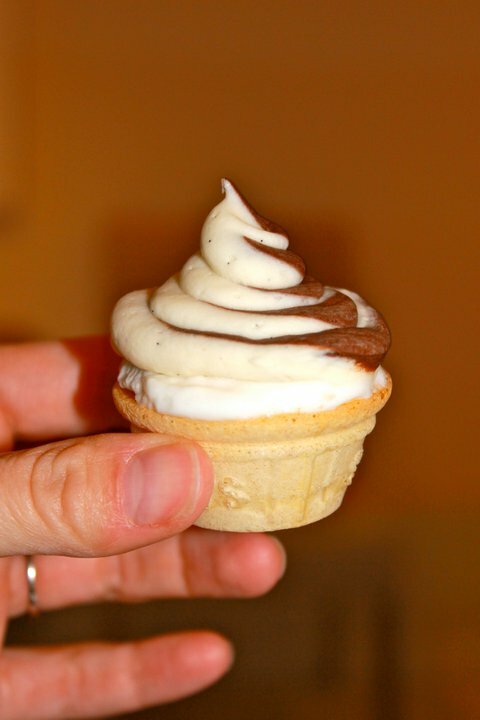 Why I chose this one: The beauty was in the simplicity: it pays adorable homage to the classic summertime treat, the soft-serve chocolate vanilla swirl cone, in cupcake form; for me, it was a perfect union of cupcake and ice cream. Why I chose this one: The flavors were unexpected, with a spicy Middle Eastern influence that seemed interesting but harmonious with both the cake and ice cream; it sounds like a refreshing and unexpected summer treat combining some of my favorite flavors. Why I chose this one: It's basically a triple-threat of awesome. 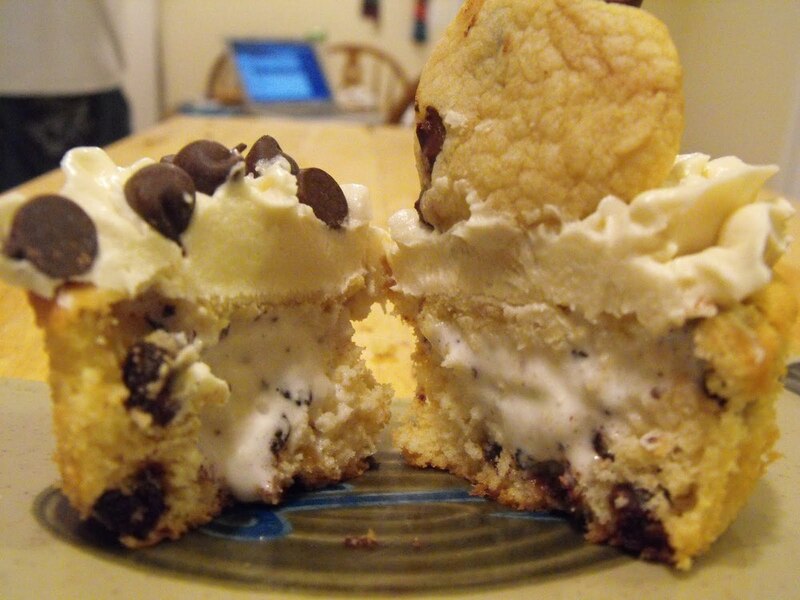 Cake, cookie dough, and ice cream. And it has cookie dough in each part of it! OMG! This lady clearly knows my weakness. Honorary mention. Now, two photos in particular need to be called out because they brought me so much joy. Strawberry Shortcake Plus Ice Cream Cupcakes: This needs to be assigned an honorary mention, not only because it sounds delicious, but because of all the entries, it is the one that most resembles Andy Warhol! Chocolate Chocolate Cone: This needs to be assigned an honorary mention as well, not only because likewise do these treats sound NOM-worthy, but because the photo is so evocative: the fallen cake soldier! Of course, you can view all of the other entries here, and based on the choices of my fellow judges (Nicole's picks here! ), a winner will be announced soon! Update: There is a winner! Read all about it here. You win!